One of ABT’s core purpose is the collation and updating of threatened species records within the Makarora Catchment to help facilitate and inform appropriate application of invasive predator control. 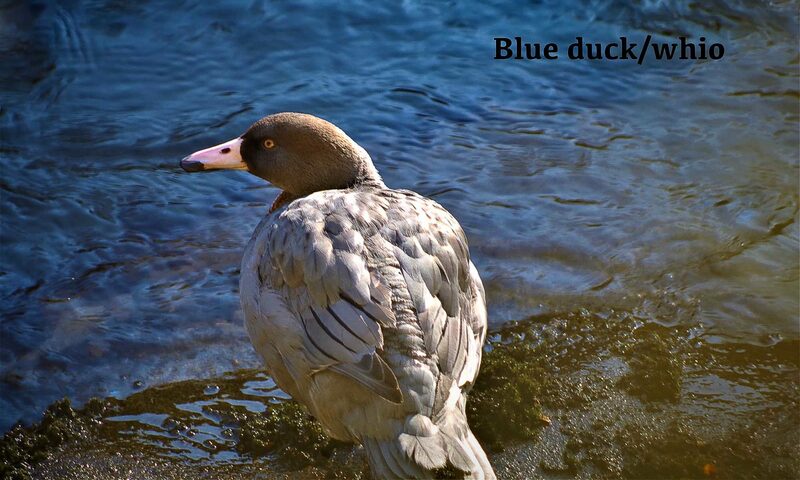 ABT have been updating records for whio/ blue duck Hymenolaimus malacorhynchos to help ascertain the current status of this ancient endemic waterfowl species within the upper reaches of the Makarora Catchment. No formal inventory has been completed for this species since the work of the late Peter Child during 1970’s/1980’s. To date a specialist contractor and his protected species survey dog (Hoki) has been commissioned to undertake walkover surveys for the upper Wilkin, the Siberia and the Young Valley. From the results of these walkover surveys and the addition of recent incidental records it is promising to see that there remains a remnant population. Numbers are low and in some cases are limited to just male individuals, a high prevalence of unpaired males on rivers without predator control is often common as nesting females are more vulnerable to mammalian predation. However, evidence of breeding success has been recorded with observations of pair bonds and a fledgling bird. This valuable survey work continues to expand for the region with the future aim of restoring viable, sustainable populations of whio/ blue duck within the upper river catchments of the Makarora for future generations. Child P, (1981). Birdlife of Mount Aspiring National Park. Scientific Services No.4. Department of Lands and Survey. Head Office, Wellington, New Zealand.